University of Oulu students engaged in teamwork at the Tellus Innovation Arena. (Photo: University of Oulu). The €1 million donation, which will be shared by the three universities, is part of this year’s centenary of Finland’s independence. “The opportunity for continuous, varied scientific research work in cooperation between universities, companies and other parties is essential for building a sustainable future. It is also of utmost importance that universities’ training programs produce top experts with knowledge and skills that promote companies’ ability to renew and succeed. Through our donation, we want to support universities representing branches of science important to us in their ability to offer internationally competitive scientific research and education,” explained Matti Kähkönen, president and CEO of Metso Corp.
Metso has cooperated with leading universities around the world for many years. “Tampere University of Technology has carried out long-term research and product development in cooperation with Metso in several fields, including materials technology, mechanical and production engineering, and hydraulics. The donation from Metso is a great recognition of this fruitful partnership,” said Mika Hannula, president of Tampere University of Technology. 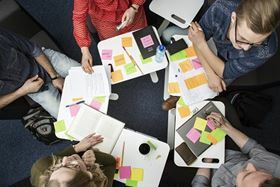 “In addition to materials technology, mechanical engineering and business and economics, important and topical areas for us both include design, digitalization and the Internet of Things,” said Tuula Teeri, president of Aalto University. “We have trained many experts working in key positions at Metso, and even now, our students are training and working on thesis projects at the company,” said Jouko Niinimäki, president of the University of Oulu.